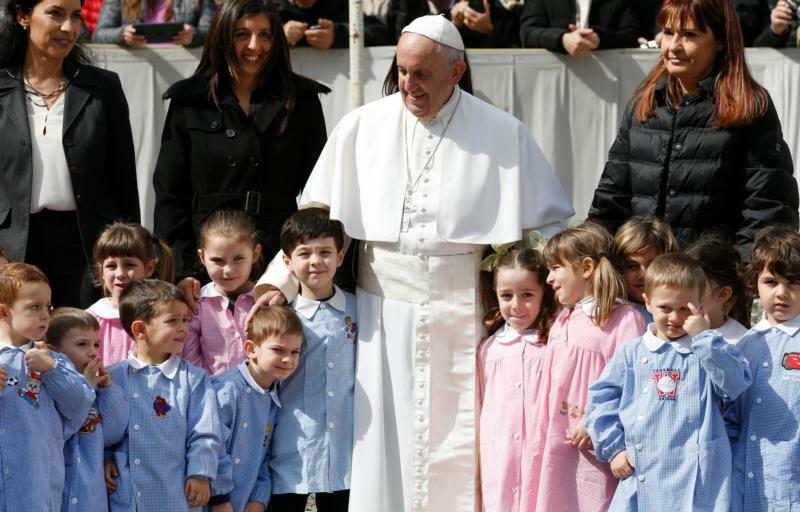 VATICAN CITY (CNS) — Like the people of Israel in exile, migrants forced from their homeland due to war and persecution are often left to suffer because of closed hearts and doors, Pope Francis said. “In these cases one may ask, ‘Where is God? How is it that so much suffering can come upon men, women and innocent children? '” he said at his general audience March 16. Continuing a series of talks dedicated to the Year of Mercy, the pope focused on two chapters from the Book of Jeremiah (30 and 31), in which the prophet heralds the return of the exiled people of Israel to their homeland. The experience of exile left their faith “shaken” and seeing their country in ruins made it difficult “to believe in the Lord’s goodness,” the pope said. Newspapers and TV programs in Europe have been saturated with images of countless refugees stranded after several countries closed off the so-called Balkan route that allows migration from Turkey through Greece to Northern Europe. In the face of suffering, Pope Francis said, Jeremiah’s prophecy of the Israelite’s return to their homeland is an affirmation that “God is not absent” and a reminder that good ultimately triumphs over evil. “The Lord is faithful; he does not abandon us in desolation. God loves us with a never-ending love that even sin cannot stop. And thanks to him, the hearts of men and women are filled with joy and consolation,” he said. The joy experienced by the people of Israel upon their return home, he added, is the same joy God wants to give Christians through his forgiveness and is a sign of the consolation given to those who truly convert. Pope Francis noted that Jeremiah’s prophecy was fulfilled by Jesus and the church will commemorate this in the coming celebration of his resurrection. “The true and radical return from exile and the comforting light after the darkness of the crisis of faith is fulfilled in Easter, in the full and definitive experience of the love of God, a merciful love that gives joy, peace and eternal life,” he said.